Winter is now officially over, although many of you have probably felt that way for some time now. Undoubtedly this winter will go down in the books as one of the strangest, warmest, and least snowy in history. We’ve past the point of hoping for late season snow, and cities all over the U.S. are hitting 70 and 80 degrees. All is not lost, however, as the end of one season brings the beginnings of another. 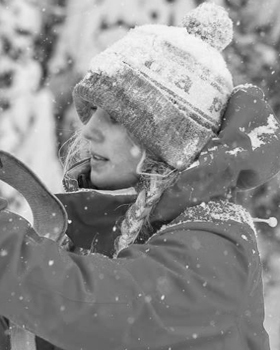 Spring is a time to start fresh, clean up, and for all of us at WinterWomen.com, it’s time to get ready for next season’s line. We just recently spent a few days in the photo studio shooting samples of next year’s product lines for the site. After several days, hundreds of outfits, and way too much Jimmy John’s and Starbucks, we finally wrapped. I’ve got to say there are some pretty stylish and all around awesome pieces slated for next season’s collection. We put together this short behind-the-scenes video to give you all a better idea of what actually goes down at the annual WinterWomen.com photo shoot. Enjoy.